Communications minister Senator Mitch Fifield has claimed that Labor’s broadband spokesperson, Jason Clare, is preparing to unveil an NBN policy that will see the use of fibre to the distribution point (FTTdp) for a significant portion of the National Broadband Network’s fixed line footprint. “While Labor have been campaigning in support of fibre to the premise (FTTP), recent public comments by Shadow Minister for Communications Jason Clare appear to be an attempt to ‘soften up’ the public for a change in approach and a shift to using copper,” a statement from the minister said. Fifield claimed that such a policy would be a “backflip” for Labor. Under the Rudd and Gillard governments, Labor’s policy was to pursue a fibre to the premises (FTTP) rollout. To support his claims, Fifield pointed to a 16 March exchange between Clare and Sky News’ Kieran Gilbert. “So let’s just clarify then though, so Labor’s policy today is to use fibre to the pit outside the home, Fibre-to-the-Distribution-Point?” Gilbert said. “We’ll announce our policy closer to the election,” Clare responded. “We’ve said we’ll roll out more fibre but what this document shows though is that Malcolm Turnbull is too arrogant to give people faster internet speeds. Clare was referring to a leaked NBN presentation on the use of FTTdp that showed the potential low cost per premise of the technology, which involves the rolling out of fibre closer to end user premises than when using fibre to the node (FTTN). “In recent weeks, when asked about Labor’s broadband policy, the Shadow Communications spokesman has simply said that ‘[Labor will rollout more fibre,’” Fifield said in remarks prepared for today’s CommsDay Summit. NBN has not excluded the use of FTTdp from its network rollout and last month announced a trial of the technology but it has indicated FTTdp is likely to be employed for only a relatively small number of connections. The use of FTTN for the NBN has been a particular target for critics of the MTM rollout. Both FTTN and FTTdp rely on the use of copper phonelines for connections to an end user’s premises, but the latter involves a shorter length of copper. Fifield’s most recent attack on Labor comes as NBN faces further leaks. The company has faced a series of leaks this year. Journalists were today furnished with copies of the NBN’s Integrated Deployment Plan and its March 2016 monthly ‘ready for service’ report. The AFR was the first outlet to publish details of the documents. 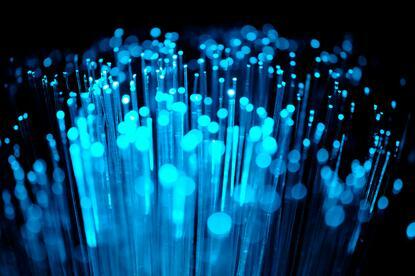 “The leaked documents show that the first 40 Fibre-to-the-Node areas being built by NBN Co are all behind schedule. Every single one,” a statement issued by Clare claimed. In response to previous FTTN-related leaks, NBN and the government have said the overall network rollout remains on track and that the company has continued to meet or exceed its rollout targets. As we said in response to this matter over a month ago, the nbn is thousands of construction sites running in parallel. There is a big difference between site timelines and a company meeting its targets, nbn has met or exceeded every record over the past two years. nbn CEO Bill Morrow explained the process and confirmed we are on track at the Senate Select Committee Hearing on 15 March 2016, a Hansard script is available online. We reiterate that work has progressed concurrently to ensure delays are recovered to meet the full year company target. These documents help us to monitor and manage risk, as any business would, to enable us to meet our targets. FTTN continues to be the fastest technology to deploy at scale, taking neighbourhoods with little or no broadband to speeds of 50-100 Mbps. Our priority remains to make fast broadband available to all Australians by 2020, in the most cost-effective way for taxpayers. The rollout of FTTN is key to achieving this goal. Clare is due to address the CommsDay Summit tomorrow. NBN’s CEO, Bill Morrow, will also address the conference tomorrow.